When I told my friends back in Alabama that my college asked me to give a short talk about culture and higher education, they fired their shotguns in the air for a good two to three minutes with their excitement and pride for me. In all seriousness, it’s an unbelievable honor for me to speak to you today, and I really do love where I come from. I can say now with complete confidence that the last four years of my life have been nothing short of incredible, for the most part because I was able to attend such a wonderful and exciting university. So, all I can share with you is just my experience here at Wake and how it has enriched my life beyond my wildest expectations. Many people call Wake Forest a “bubble.” And for a long time I didn’t know what that meant, but it seemed popular to say it often. So, I did for a while, until I realized that I was subscribing to the same mentality I sought to critique. Apparently it is a common belief that while from the academic standpoint Wake encourages a worldly perspective, the student body is actually quite immune to the reality beyond the “magic” mouthwash of Student Health and the nonexistence of late fees in the library. But let’s be honest, we naturally tend to create “bubbles” wherever we go. Outside of college if I’m at home, I’ll be surrounded by the people I can most identify with … you know, the skaters, the kids in black T-shirts with tattoos up and down their arms. But here at Wake Forest, I’ll walk into a classroom and there are freaks and weirdos everywhere, wearing their peach-colored polos … collars sticking straight up in an ominous fashion, and sunglasses dangling around their necks the whole day … even if it’s overcast or 8 p.m. This is just one of the many ways that Wake has allowed me to experience a new world in college. So, don’t get me wrong, I am very grateful for everyone here around me. I am fortunate that I have been given the freedom to burst my personal bubble. The point I really want to make is that the last four years were especially priceless because it seems so rare that we are given the invaluable opportunity to experience what’s beyond our comfortable bubbles without risking something: whether it’s our reputation, our material possessions, or our serenity with being whoever we are. Earlier inside my bubble, I held on tightly to the notion that I could intellectualize my way through any problem or scenario that life could throw at me. In fact, I devised complex strategies and airtight schemes for handling almost everything from difficult professors to romantic encounters to global crises abroad. But in reality, my knowledge of people and life from the mouths of others was absolutely inadequate, and my first few semesters at Wake turned out to be very humbling. As I began to question my direction in life, I realized that even my colorful imagination could not provide me with all of the right answers. So, I surrendered. With few reservations, I jumped head-first into the college scene and I tried to make my own experiences. I majored in chemistry, and I minored in women’s and gender studies, where I was the only guy in a class of twenty-six for the introductory course. I joined WAKE Radio, where I once hosted a live on-air performance by James Taylor’s son and his awful, awful band. I rolled the Quad when Wake beat Duke. I destroyed the lounge in Polo Residence Hall when Chris Paul decided to go to the NBA. I attended the lectures, the debates, the plays, and the concerts. I became personally acquainted with the campus cops, the nurses, and the deans of all sorts. I allowed myself to be swallowed by a sea of North-Face brand jackets, only to be regurgitated, soaking in cheap beer and stumbling across Magnolia Quad in below-freezing temperatures. Wake Forest has also blessed me with amazing summers. After freshman year, I dissected rat brains at a neurobiology internship. The next summer I discovered the legacy of surrealist Salvador Dali as I traveled on my own across Florida, Spain, and Holland. I worked in a cubicle, and I worked in the operating room. I fed the homeless at Samaritan Inn, and I only visited the residents of the minimum security penitentiary just up the road from here. I’ve made incredible friends, and I’ve had amazing mentors to guide me, all of whom are crucial to my experience. And now, as I stand here in front of you … this close to holding a diploma from Wake Forest in my hand, what am I really leaving college with? Aside from the academics, I learned more than how to score extra meat from the guy at the “Southern Cooking” place in the Pit. I had my chances to actually feel out the world to the extent that I desired, and I got to make the necessary mistakes to notice just how much I once valued knowledge over experience. Looking back, I regret nothing, and I cherish every single one of my memories because that’s what I feel that this part of my life has been intended for. So, at twenty-one years of age, I have no earth-shattering revelation about humanity to share with you, nor have I uncovered any universal truth. If anything, I am less certain about everything now than I was before I came here. But, I do realize that every one of the classes, the parties, and the projects that I got myself into were absolutely essential to bring me to this point in my life. So whether I was throwing dozens of Christmas trees into a bonfire on the county border or standing in line to take the MCAT with possibly the most nervous group of people on the planet, or singing Christmas carols with inner-city elementary school kids, my limits and horizons as a developing human were challenged, and I have grown. And so have you, for you see, even though we are all inherently different, we are all students returning from a four-year long vacation from the “real” life, and we hold our unique experiences as precious souvenirs to carry with us wherever we may go from here. 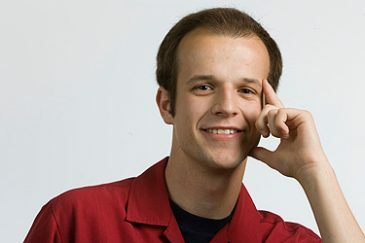 This senior oration by Andy Lobashevsky (’06) was one of three winners selected at the 2006 Senior Colloquium and presented at the Honors and Awards Ceremony on May 14. The other winning orations were “Impossible Questions and Questioning the Impossible” by Emily Leonhardt (’06) and “Hope — in the Voices of Africa” by Nemanja Savic (’06).